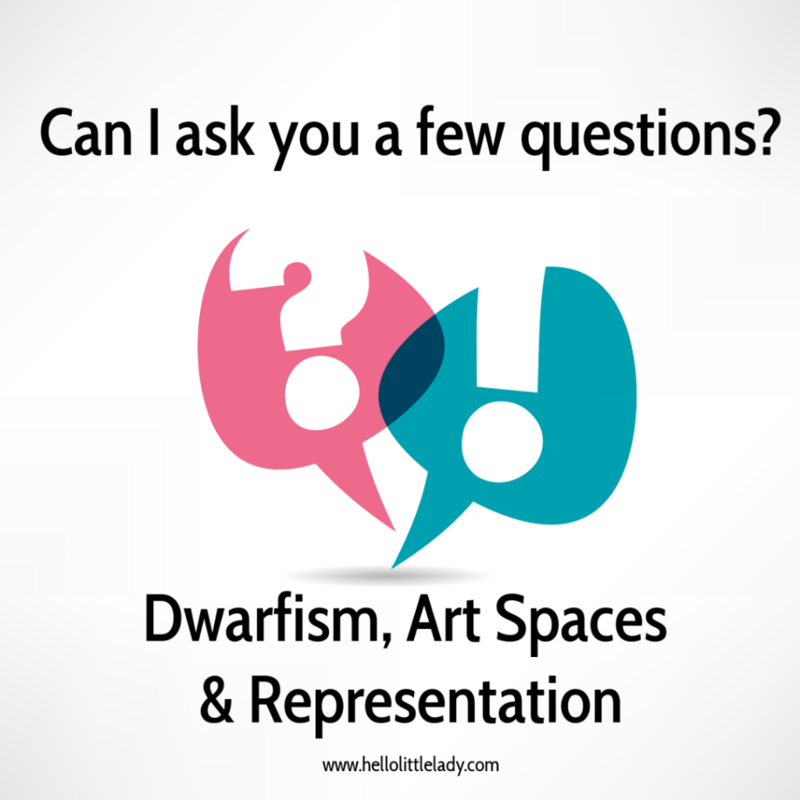 Fellow people with dwarfism – I need your help! In October I’ll be showcasing the photographic exhibition, ‘You’re Just Little‘. The aim of the “You’re Just Little” exhibition is to reveal the challenges, obstacles and societal assumptions that being a dwarf does not impact on how we engage with people and the places around us. As well as challenge the environment of the gallery space. Positioning the artworks in the gallery space at a comfortable height that a person with dwarfism can easily engage in with. The positioning also aims to enable average-height people to experience the discomfort of what it is like to have to adapt to one’s surroundings. As part of the project, I’m doing some research. Please, can you spare 5 minutes to fill out the questionnaire below? The questionnaire is open until 31st August 2018. There’s also a chance to win a £10 Amazon Gift voucher.